Celebrating bathtime™ with the new addition to Yookidoo's 2016 bestselling bath toy line! Our all time favorite submarine now meets a spraying whale! 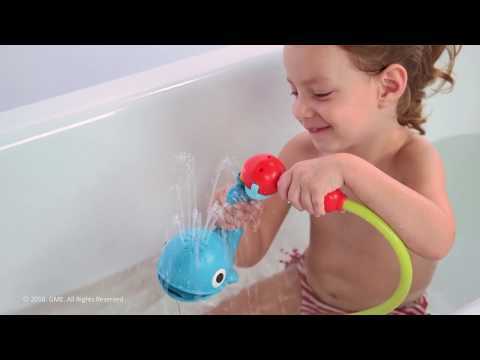 Grasping the shower head and filling the whale encourages development of fine motor skills and eye-hand coordination. Teaches children cause & effect processes and concepts such as full/empty, float/sink etc. Closed water circulation system saves water and promotes safety by maintaining water level and temperature.